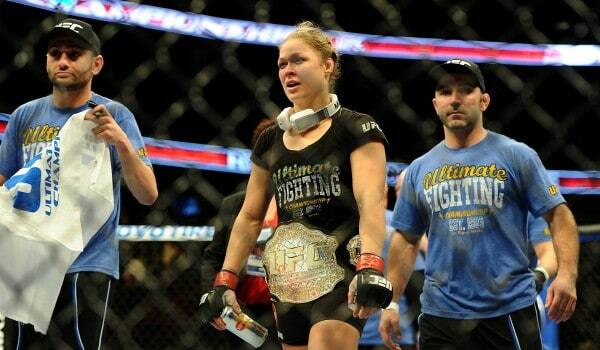 Three UFC champions, four ESPY nominations. Women’s Bantamweight champ Ronda Rousey has been nominated for two ESPYS, one for “Best Female Athlete” and the other for “Best Fighter”. While Rousey is the likely favorite to take home “Best Female Athlete”, she does have some stiff competition in the “Best Fighter” category. Not only is Rousey up against some of the best boxers in the world in Floyd Mayweather, Manny Pacquiao and Andre Ward; she will also be competing for votes with UFC Light Heavyweight champion Jon Jones. The fourth ESPY nominee in the MMA sphere is current UFC Middleweight champion Chris Weidman. Weidman is up for “Best Upset” for his UFC 162 knockout victory over former UFC Middleweight champion Anderson Silva.